Tarabus floor covering with self-adhesive backing. 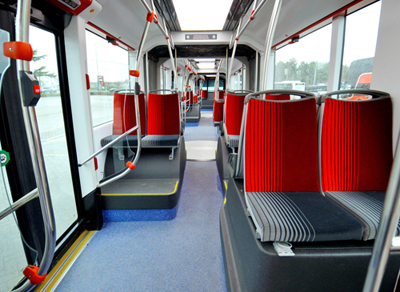 "Since October 2012, we are most pleased with this new technical evolution and our workers appreciate the reduced consumption of Neoprene glue for the Tarabus floorcoverings. 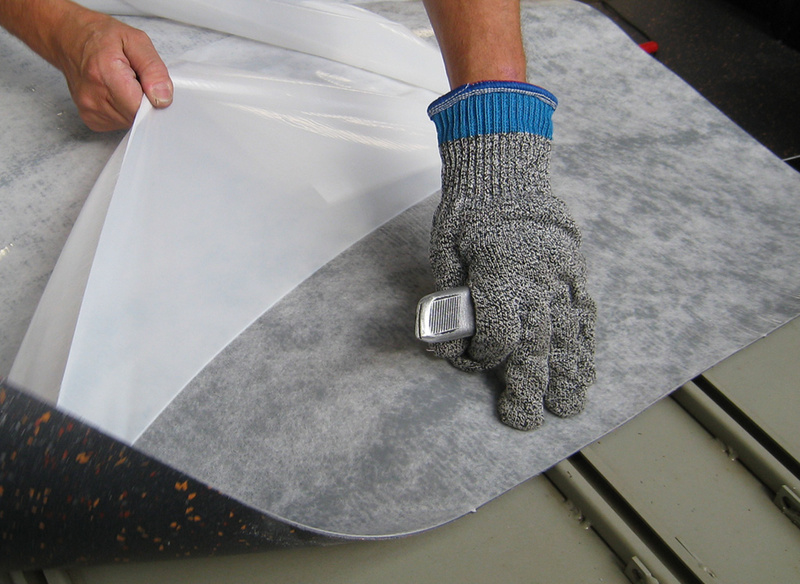 We are able to reduce the installation time on our production lines with this "self-adhesive" solution. With this technology, we reduced the consumption of Neoprene glue which enables us to correspond better to requirements of the environmental directives. The partnership that we are realizing with your Tarabus "self-adhesive" products fulfils our need for glue reduction and time saving".